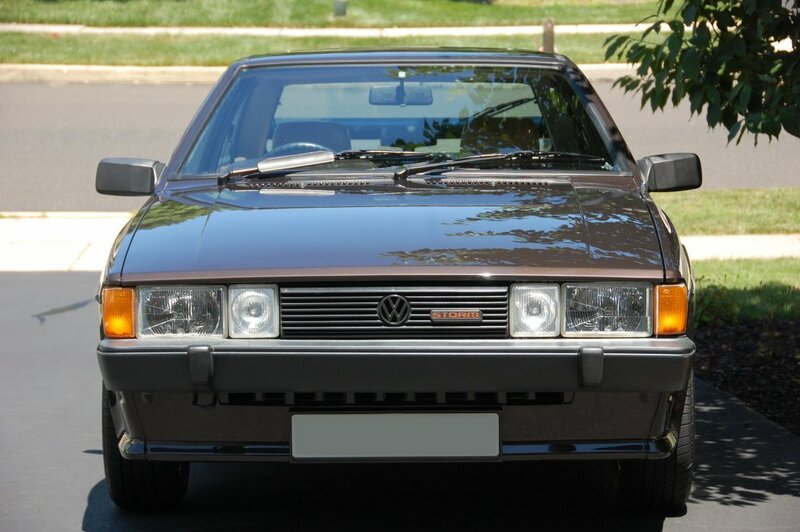 bumpers were not painted body colour. Also the single wiper was phased out at this point. 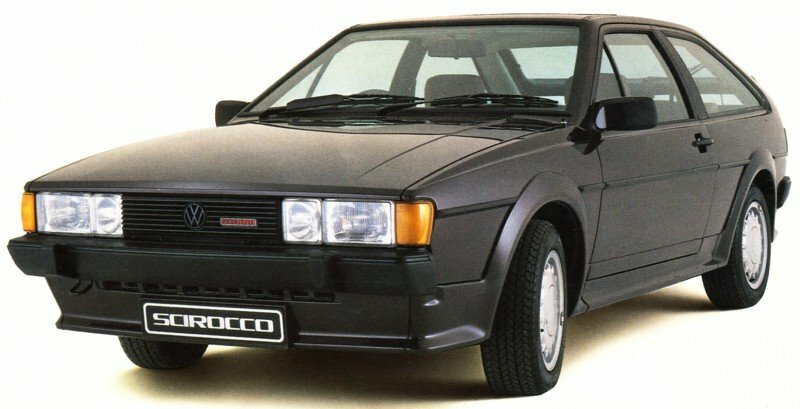 This time around, the Storm was distinctive from any other Scirocco. 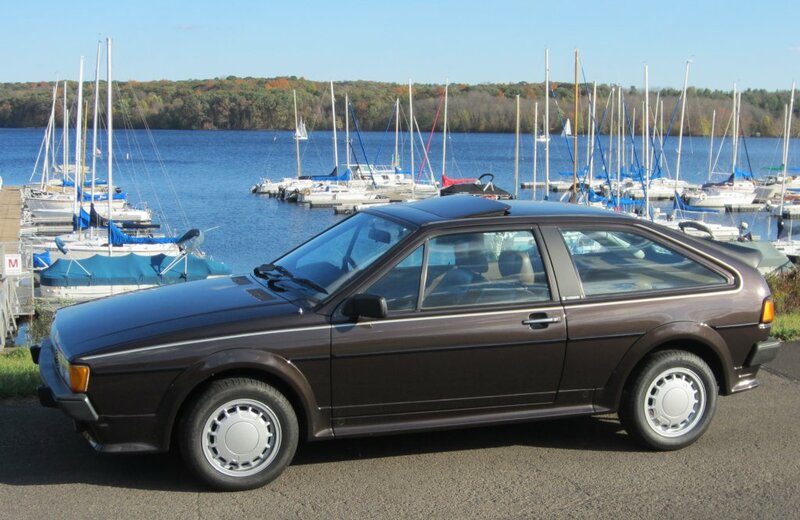 A tilt and slide sunroof was standard, as were headlamp washers, automatic aerial, electric windows and the MFA. 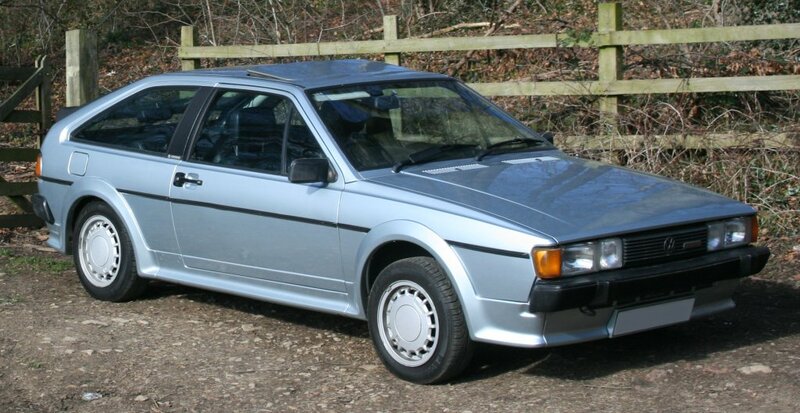 Power came from the much acclaimed 112 bhp DX 1.8i engine of the GTI. The brakes were vented discs up front with drums at the rear. 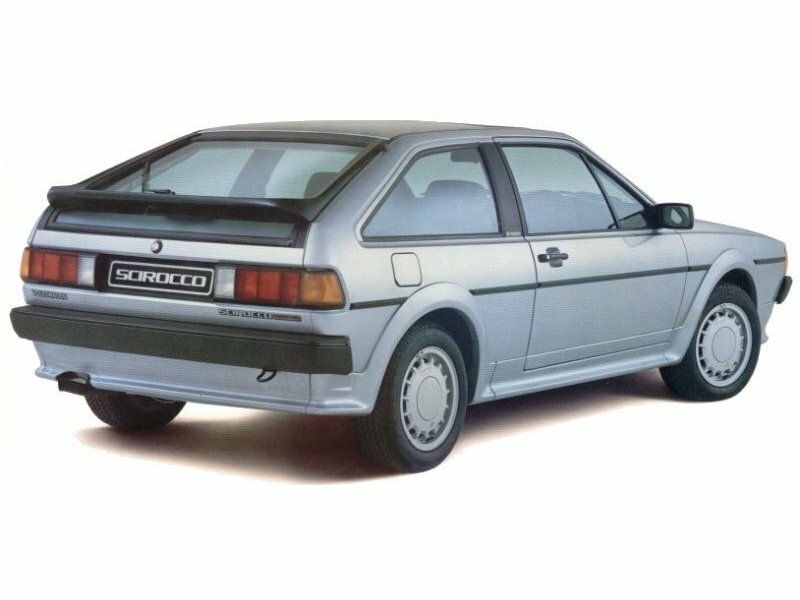 The only Scirocco to have disc brakes all round was the 16v. 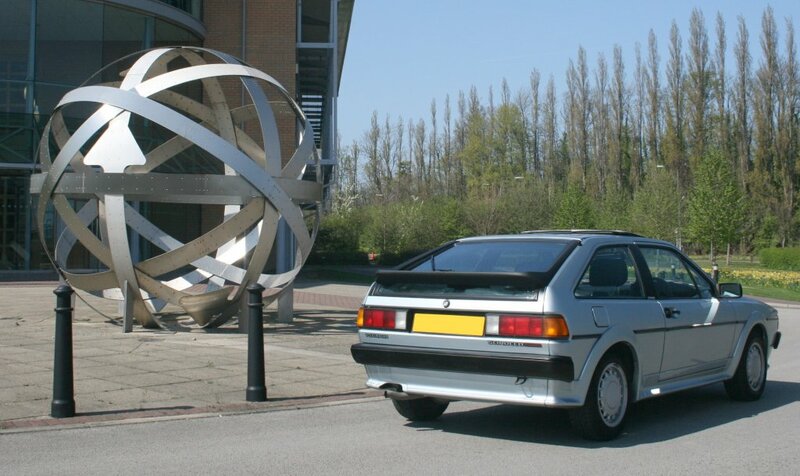 For this production run of the Storm, numbers were strictly limited to 600 cars. 300 blue, 300 brown. Karmann logos were featured on the cars B-pillars to indicate its coachbuilt heritage. 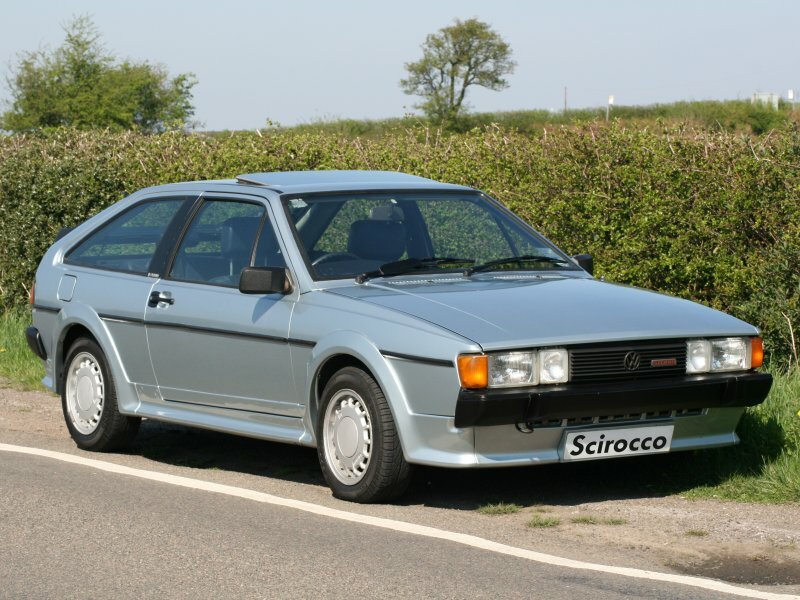 The Mk2 was larger than the original Scirocco with a marginal improvement on interior space. 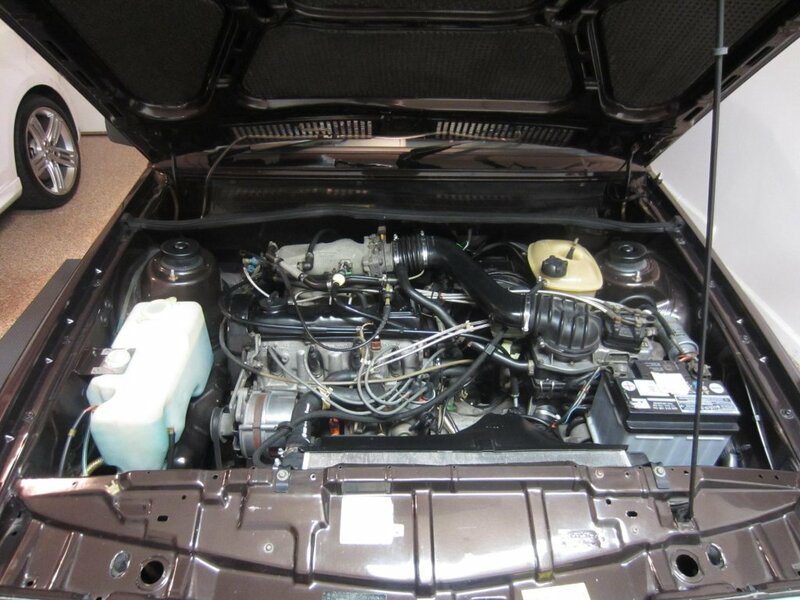 Again Bosch K-Jetronic fuel injection was used, as it was on later Scalas even when the Golf was using Digifant. The suspension was stiffened using anti roll bars front and back. Here you can see the different decals used on the rear of the Mk2 Storm. On the Havana brown car a silver logo is used, on the Cosmos blue car a black logo is fitted. These are now impossible to get hold of. “Volkswagen” decal under left tail light. There is also a molded plastic storm badge on the grille. Part No. 533 999 687A. “Karmann” B-pillar logo. Click here for refinishing tips. 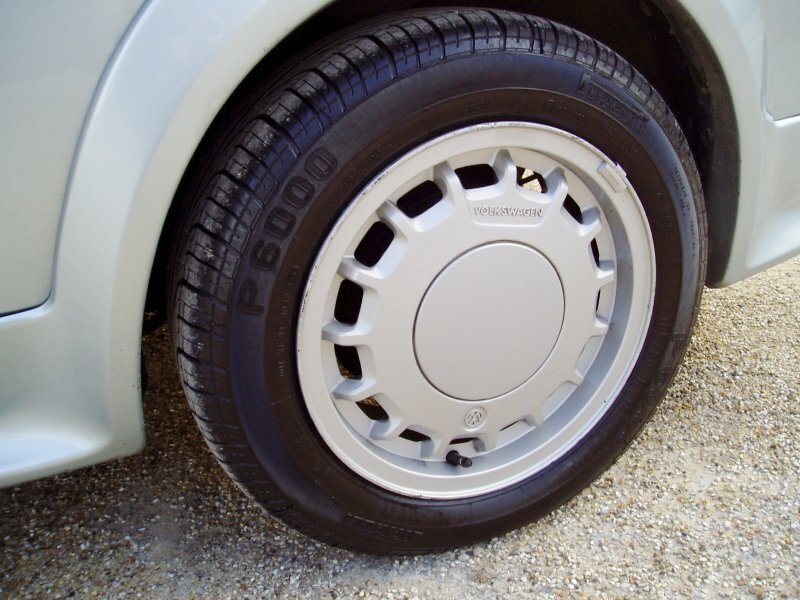 14″ Montreal alloy wheels were originally fitted with Pirelli P6 tyres. As you can see, my car had Pirelli P6000 tyres. A beautiful example of a Havanna brown Storm that now resides in the United States. The 1.8 litre fuel injection DX engine in the same Storm.